I abandoned American Saint by Joan Barthel. I really think it was just bad timing. I'm in some sort of slow reading phase right now. I needed something a bit more lively and American Saint suffered because of it. I'm drowning in ARCs! I have no idea what I'll read next. I'm very much into reading based on my mood this year. It's kinda awesome. I wanted to participate in the Bloggiesta but I've been too stinking busy this weekend. Bah. Are you guys and gals getting a bunch of stuff done on your blogs? Maybe I'll be able to unofficially make some headway on my constant to-do list? 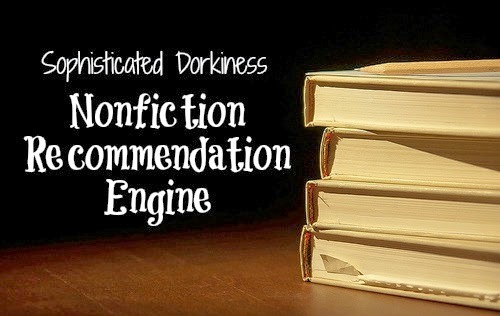 Check out some fab nonfiction recommendations from Kim at Sophisticated Dorkiness. Want to learn how to streamline your blog and make your pages ultra-attractive? 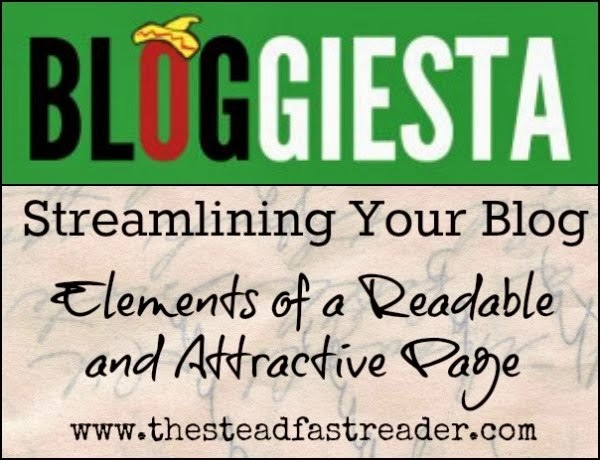 You have to read this post by April of The Steadfast Reader. Did you read anything amazing this week? I hope so! That is a stack my dear! I don't feel like mine looks quite so crazy :) I need to get myself a copy of California, the more I hear about that book, the more desperate I am to read it...I just need to get through the rest of these! I'm totally mood reading lately, too, though and I'm loving it. I'm wildly in love with the cover of Bread & Butter too. It's gorgeous :D I hope the insides are just as lovely! Really want to know what you think of Below Stairs! 'The Classic Kitchen Maid's Memoir That Inspired Upstairs, Downstairs and Downton Abbey' - I'm intrigued! I look forward to your thoughts on that one. I see you aren't at a loss as to what to read next - that's some stack of ARC's! Your HP pics made me sooo jelly. Also, that's a good lookin' stack of ARCs! We had such a grand time there! :D If you find yourself in need of a vacation it's the place to go! 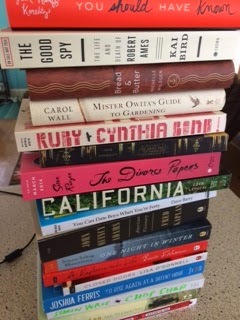 What a great stack of books! I've been enjoying Bloggiesta and was able to clear my weekend for it. Of course, I never make as much progress as I think I should! Normally I love to participate in Bloggiesta but I just had too much going on in my "real" life darn it! LOL, a couple of hours for sure! See why I need to set up a Little Free Library?? Wheeeee! Drowning in books wouldn't be the worst way to go would it? I have One Night in Winter coming to me soon - excited to read it for TLC! I don't think I'm on a tour for that one. Oh for pete's sake...I'd better check my schedule, lol. My brain is absolutely broken since vacation! I'm drowning in ARCs too, so I know how you feel! Have a good week. Too many books...what a first world problem we have ;) Thanks, same to you! I read BELOW THE STAIRS. LOVED it. I hope you are enjoying it. Wow on your stack of books. No such thing ;) There is, however, such a thing as too little time! ;) You're super welcome! Also I'm interested in what you thought about The Frang... Hotel. Review has been written and scheduled. Hmmm...can't remember for what day, lol. Friday! I think? Lovely stack of Upcoming Books! 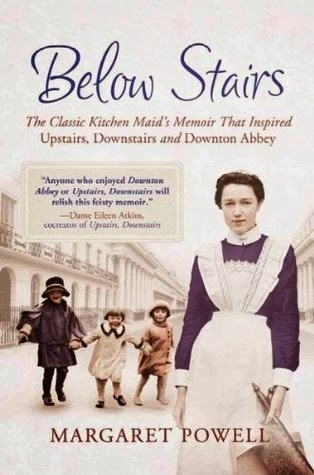 I am a huge Downton Abbey fan so I am looking forward to your review of Below Stairs!